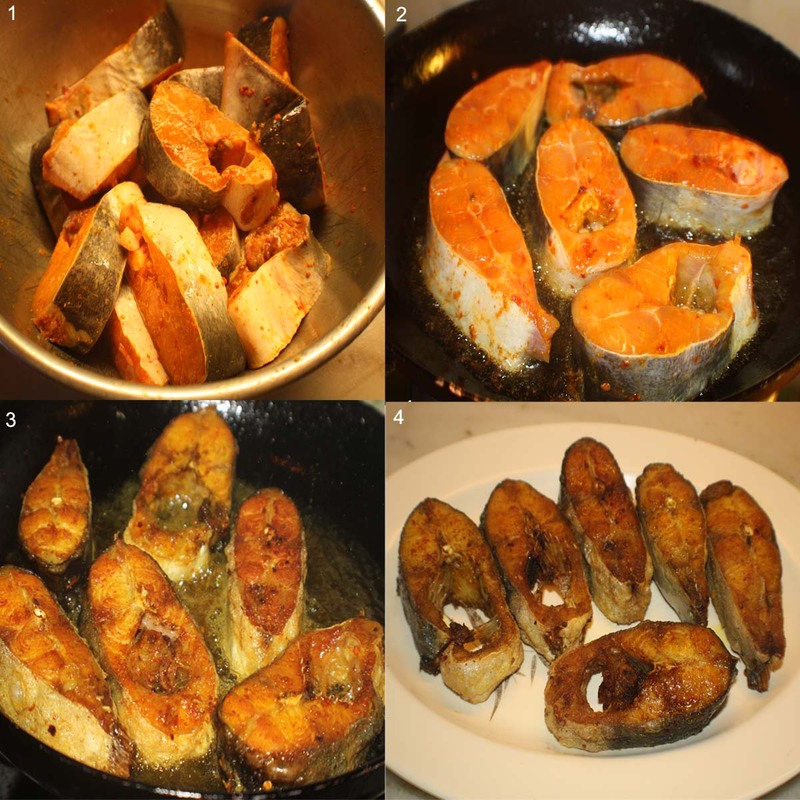 Sprinkle the turmeric powder, chilli powder and salt over the fish pieces and coat them well with the spices. Heat oil in a pan and when the oil become hot, slide the fish pieces into the hot oil and let it cook quickly on each side till it turns golden brown. Drain on paper towels and repeat till all the pieces are fried. Then add the chopped tomatoes, curry leaves, turmeric, chilli powder, curry powder and salt and fry for couple of minutes on low heat, till the oil starts separating from the mixture. Add the tamarind juice ( when the tamarind is soaked in water, it softens. Using you hands squeeze the pulp and throw the cover and the seeds) and cook for 5-6 minutes . By this time, you will have a nice rich gravy. Now pour the coconut milk into the gravy, lower the heat and bring to boil. Simmer till the gravy thicken a bit. Gently add the fried fish pieces into the curry, cover the dish and let the fish simmer in the gravy for 10 -15 mins on low heat, stirring occasionally. Garnish with fresh coriander and serve with rice and lemon wedges. 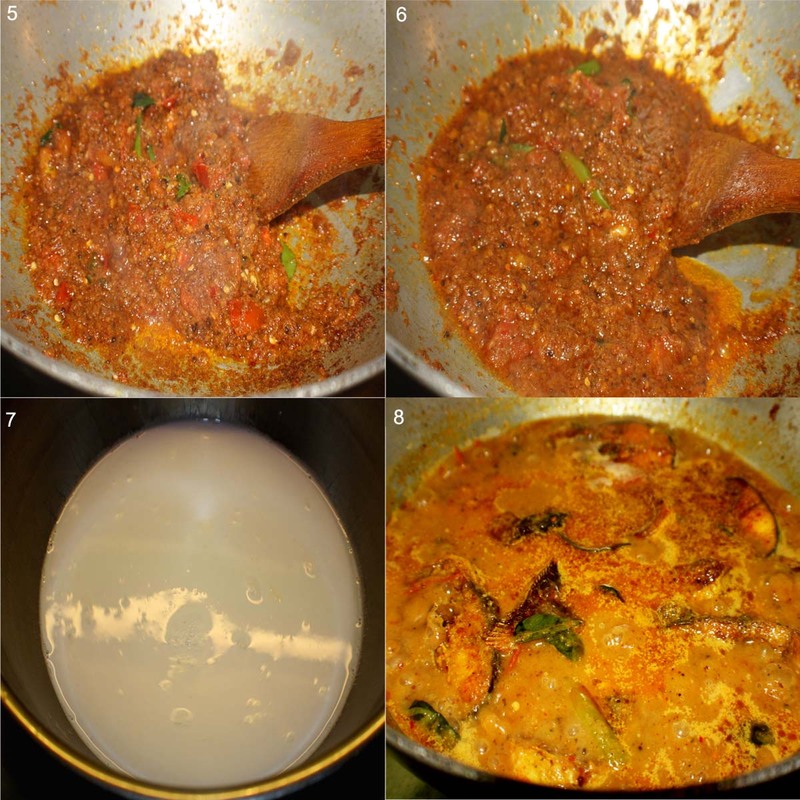 This entry was posted in All Recipes, Fish and tagged Sri Lankan Fish Curry by Kamakshi. Bookmark the permalink. It looks tasty.I too want to try it today itself. I tried this last night with some tilapia. WOW. Next time Sea Bass. Thank you. this recipe is greatest.! its easy to prepare and good taste. thankx for share this recipe. 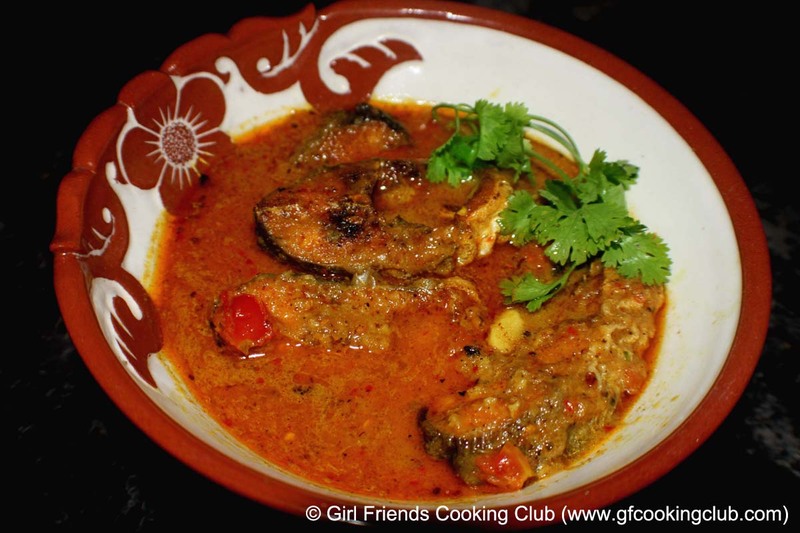 I made this fish curry today. Its more like a Indian fish curry. Liked it ! Thankxx for posting ! Amazing recipe. Was a big hit in our house.